As the demand for environmentally preferable products continues to grow and spread around the world suppliers and manufacturers are constantly trying to prove that their products are environmentally friendly. The two largest globally recognized schemes are BREEAM and LEED®. So what's the difference? BREEAM the Building Research Establishment Environmental Assessment Method was first established in 1990 in England. LEED® the Leadership in Energy and Environmental Design followed 8 years later in the US largely inspired by and based on BREEAM. Both schemes set the benchmark and precedents for global environmental assessment of construction products and materials however which scheme is best? BREEAM requires trained personnel to analyze the evidence on the ground against the credits criteria. They then report their assessment to BRE (a building research organization funded mainly by the government) who go ahead to validate the findings before giving certification. LEED® on the other hand does not require any trained personnel, the certification of the buildings is given by US Green Building Council (USGBC). As a result, BREEAM is said to provide better credits compared to LEED®. BREEAM has been able to adopt to the local market for a long time. If the assessment criteria for a certain location does not quite fit with BREEAM assessment criteria, the assessor can engage BRE to establish a criteria that fits the assessment. LEED® on the other hand does not have such provisions. LEED® gives slightly more importance to the occupant’s health and comfort, while BREEAM is more focused around environmental impacts. For example, LEED® will award you credits for increasing car parks in the building, BREEAM will not. Formulating a perfect system for evaluating environmentally preferable products and materials is not easy. Choosing to follow either BREEAM or LEED® can sometimes depend on factors such as the type of building, is the building new or existing, the location of the building, etc. The important message here is that your chosen manufacturers and suppliers of building materials and products offer viable solutions that fall within one or preferably both of these highly respected global environmental evaluating programs. Both BREEAM and LEED® exist to help mitigate the impact by guiding specifiers towards more efficient and sustainable solutions. 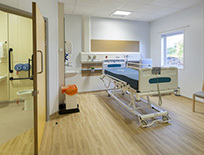 All of Polyflor’s products feature highly in both BREEAM and LEED® programs.